Yeh Hai Mohabbatein: Raman restricts Ishita's entry in his bedroom, Ruhi and Roshni guards Ishita's right. 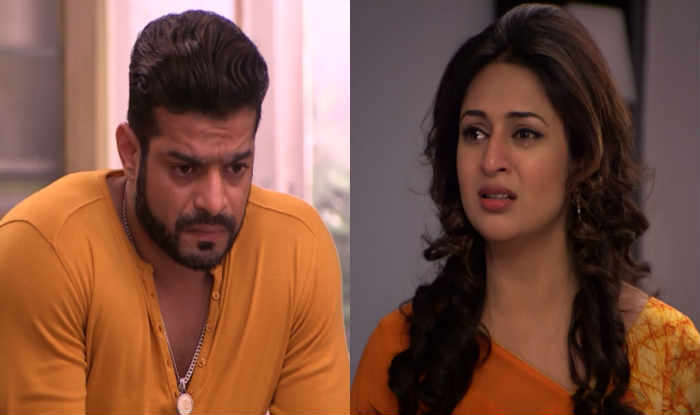 Star Plus Number One Serial Yeh Hai Mohabbatein is Now Getting Back to What Viewers Want Yes Ishita-Raman Together And Soon Fans Wish will be Getting Fulfilled By Makers. Currently, We have Seen in The Latest Episode Raman gave Custody Case Papers to Ishita and After this, we will See CourtRoom Drama In Yeh Hai Mohabbatein Along with Shantanu’s Entry and DNA Test Drama too. Finally, After Some Dramatic Scenes, We will See Judge will Give Decision in Roshni’s Hand and She will Take Decision to Live with Bhalla But Ishita will Also Acommany her to Bhalla House. Mrs. Bhalla and Raman will agree for Roshni's deal as they just want heir of their family and welcomes Roshni and Ishita home. Roshni and Ishita Will mark the entry in the house while Raman Will not so happy over it, Raman will restrict Ishita's entry into the bedroom. Raman will Also Tell Ishita to not try and become his wife as he had only accepted her because of Roshni while Ruhi will Roshni will stand for Ishita. Will Raman Melt towards Ishita or He will Punish her Like this? Stay Tune in for More Updates. Tv Segments Written Updates, Episode Written Updates,Spoilers, Gossips and much more on Yeh Hai Mohabbatein Only On Tellyworld.in.